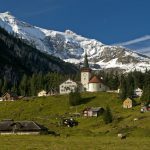 At the end of September 2016, 314,000 foreign residents were crossing the border to work in Switzerland. This represents around 6% of Switzerland’s workforce1. Swiss statistics office numbers show a rise of 3.5%, or 10,500 people since 30 September 2015. The largest numbers and growth were seen in the number of French residents working in Switzerland. 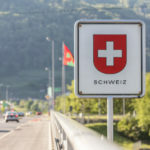 This growth contrasts a backdrop of declining net migration into Switzerland, which fell by 18.3% over the the first nine months of 2016, compared to the same period in 2015. The numbers arriving from the EU and EFTA countries dropped by 7.8%. 55% of the total 314,000, crossed the border from France into Switzerland to work in the third quarter of 2016. The remainder came from Germany (20%), Italy (22%), Austria (3%) and a collection of other countries (1%). The total number from France, 173,000, was up 5.5%. The canton receiving the largest chunk of these workers was Geneva, 84,000, or 49% of the total. Taking the Lake Geneva region in total (Vaud plus Geneva) around 12% of the workforce, was commuting from France3. The number from Germany climbed by 3.2% to 61,000, while the number of 70,000 from Italy remained stable. The largest slice of German-resident workers coming to Switzerland went to 2Basel (43%) to earn their living. Aargau (20%) and Zurich (14%), received most of the rest. 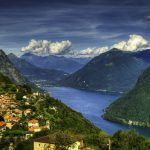 The vast majority of Italian cross-border commuters went to Ticino. Most of the national total (65%) were working in the tertiary sector. Nearly all of the rest (34%) worked in the secondary sector. 1 Using 2015 workforce numbers of 5,173,000. 2 Cantons of Basel City and Basel Landschaft combined. 3 In 2015, there were 932,000 workers in the région lémanique. In the third quarter of 2016, 29,000 workers, resident in France, worked in Vaud.